Testing, testing, 1, 2, 3... is this microphone on? Deuteronomy 8:16 and Matthew 22:34-40 are interesting verses about testing. The "Add to Verse3" sharing extension should find the above two verses and let you add them easily to your Verse3 document so you can see them easily! How to enable "Add to Verse3"
On the bottom row of icons, on the far right, tap "More". It's on the far right; you will need to scroll. There are two "More" buttons. You want the bottom one. Enable "Add to Verse3" by moving its switch. 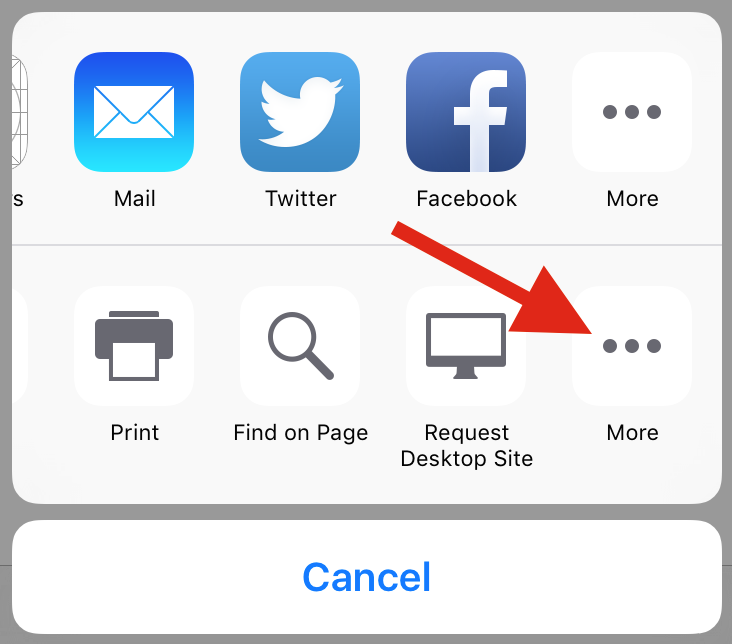 Some apps have a Share button for their whole document, and some let you select text and then tap Share on the selection. Either way should work fine. 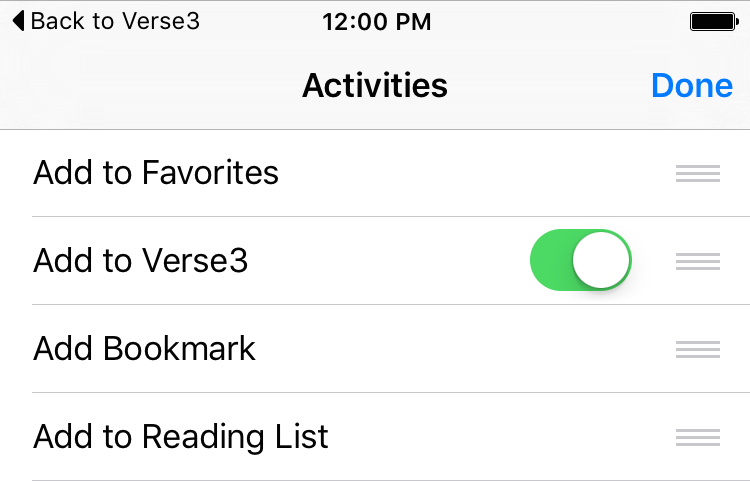 "Add to Verse3" will do its best to find verse references in anything you give to it, but not every application is willing to Share, and some apps work in unusual ways. See verse3.com/help if you have any questions, or want tips on using "Add to Verse3" with your favorite app.